Finally! 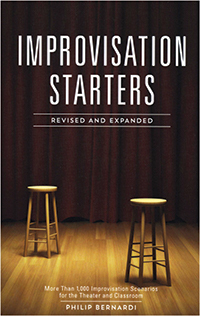 Here’s the book you’ve been waiting for — a revised and expanded Improvisation Starters with 1,000 ALL NEW scenarios! You’ve used the original text for years, both in acting class and rehearsal, saving you the difficult task of coming up with fresh ideas on a daily basis. Organized better than ever, this second edition includes chapters on conflicts, contrasts, lines of dialogue, changing locations, using props, and more, with two- and three-characters scenarios clearly identified. This new and improved version gives you more topics to work with, as well as connections to history and other school subjects to meet arts integration standards. 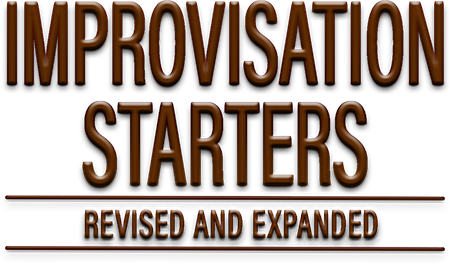 Read more...From the classroom to the community theatre group — and even in business, language, and technology classes — improvisation is the perfect tool for thinking critically, communicating clearly, building self-confidence, and developing interpersonal skills. With this revised edition, you’ll bring new vitality to the stage or classroom, and have fun in the process!